Its mesmerizing!! 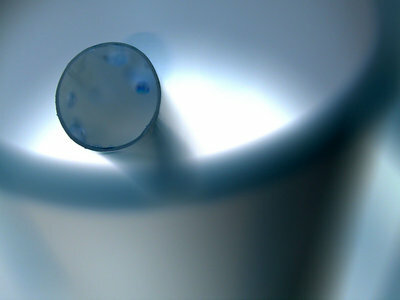 the effects given to the object has a soft mystical look. Excellently done. Abstract Exelent.Optimal management the deep of field. I see a mortar and pestle and hinting on things, on cures that aren't allowed out of it. I really love the frostiness.. soft... cloudlike blue of this image, it works wonderfully. Good work and congrats on BIP!! One of the few occasions where the negative image of a photo actually looks more interesting than the original! Good job, got everyone squinting at their screens. damn, mr. t! excellent work. i couldn't figure this one out until sally pointed out what it was. and now, seeing the original, i'm even more impressed. i was thinking of titanium objects but couldn't really come up with one. i figured it must be a car part i'd never seen or some-such. good job beating it into submission with PS ;^) a lot of other folks would've played with it until it was merely "whacky". yours is simply and literally, something else. at the risk of ruining the effect of the posted image....here's the original, which is pretty BORING. Nifty... I would have thought that the title would have been "Archimedes" though. Congrats on the BIP. Excellent capture Todd and congrats on award. maybe i'll post the original. Indeed a great abstract image. It's a beauty! Love those colors! A "7". Congrats brother. 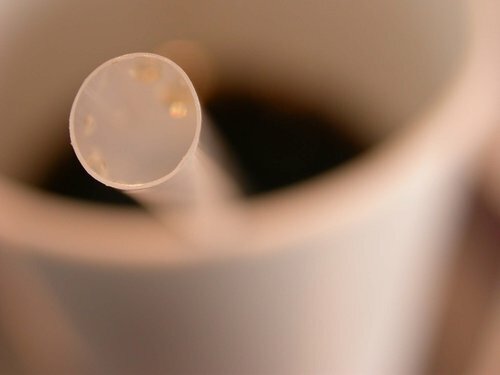 Is it a straw with bubbly bits in the top in a white plastic cup of cola? If the answer's no - you have to tell me what it is - 'cos I've been staring at it all day!! Todd, Nicely done... what IS it?? Hope you are well. This reward is well deserved!! congrats on the BIP! Well seen, shot and composed. enjoy this day! wonderful abstract! still trying to work out what it is :) i see you've been posting like a madman lately. i'm really not quite up to speed yet but didn't want to miss the oppy to congratulate you. congrats!!! on the BIP and the front page!! well, done! be back later on with more on my impression of this one. u are the photographer of the day ! excelent photo , congrats for the award !! Wonderful abstract, great idea and superb result. Congrats for the Photo of The Day Todd. It?s a great abstract and it has a magic light! Excellent! You just now replaced ME from front page Photographer of the day!! !...so glad it is you,Todd...well deserved for this and many more...is the title in reference to the astronomer from A.D.130 of same name?...love the soft blues and the forms,lighting...and this is?..gayle CONGRATS for POD!